After a three-month, 19% surge in price, eBay stock is starting to level out. However, there is still a profit opportunity that allows you to earn a monthly income from the stock despite the small price gains that are expected for the year. Why Is eBay Stock Down Today? 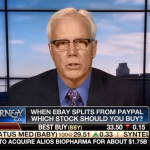 What's the Better Stock to Buy: eBay or PayPal? 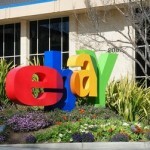 EBay Stock Pops on PayPal Spin-Off Talk – So Why Is Carl Icahn Silent? With shares of eBay Inc. (Nasdaq: EBAY) down 11% to $29 in morning trading, readers are asking us, "Why is the eBay stock down today?" Q3 results were better than expected, but guidance disappointed. 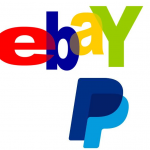 PayPal stock will hit the market tomorrow (Friday, July 17) as parent company eBay Inc. (Nasdaq: EBAY) spins off the digital payment portion of its business. PayPal will trade under the ticker "PYPL" on the Nasdaq. EBay officials first announced the PayPal spin-off in September 2014, but the board didn't formally approve the deal until late June. Good morning! For May 14, 2015, U.S. stock futures forecasted a 30-point increase from Thursday's close as continued weakness in the dollar squeezes out even more from the markets' bull run. Where "the herd" sees doom and gloom, we see profit opportunity. 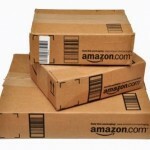 And today we're going to show you a piggybank investment that will make you huge profits. In fact, this stock represents an opportunity to create the kind of wealth that you'll be able to pass along to future generations. U.S. stock futures for Thursday, Jan. 22, forecasted a 70-point increase from yesterday's close. This morning, investors jumped on an announcement by Mario Draghi and the European Central Bank (ECB) of a massive bond-purchasing program to help kick-start the struggling continent's economy to the tune of 60 billion euros a month. Stock market news, October 16, 2014: Stock market futures were back in the red this morning (Thursday) as European markets slipped on growth concerns. Additionally, investors are growing nervous about the Federal Reserve's plans to wind down the last of its stimulus efforts. Dow futures fell more than 150 points, suggesting the markets are poised to fall back below the 16,000 mark this morning. Wall Street's focus has shifted from global woes to earnings as Q3 earnings season kicks into high gear. This week brings a number of reports from all sectors. Initial earnings reports have so far impressed, with 70% of companies trumping forecasts, according to FactSet. This earnings season will be awash in fascinating storylines from corporate America, and the technology earnings season will no doubt weave the most interesting of narratives. That's because tech has been on a roll for the third quarter. 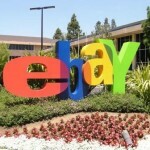 On Tuesday, eBay (Nasdaq: EBAY) announced plans to spin off its PayPal unit into a separate, publicly traded company. The move won't happen until the latter half of 2015, but it still has investors asking, "What's the better stock to buy between the two - eBay or PayPal?" Money Morning Defense & Tech Specialist Michael A. Robinson answered that very question on FOX Business' "Varney & Co." program Tuesday. Dow Jones today, October 1, 2014: The Dow Jones Industrial Average fell 28 points Tuesday as both domestic and global data stamped out gains fueled by increased spin-off and merger activity. According to reports, U.S. consumer confidence slipped in September for the first time in five months, while annual home prices growth crawled in July to its slowest pace in two years, according to the S&P/Case-Shiller home price index. On the manufacturing front, the Chicago PMI showed a positive reading in September; however, growth has been fueled by rising inventories, which are climbing at their fastest pace in 41 years. Ebay Inc.’s (Nasdaq: EBAY) plans to spin off its PayPal unit has left many on Wall Street salivating over the potential of the stand-alone payments business. The DJIA fell 28 points Tuesday as both domestic and global data stamped out gains fueled by merger activity and news of an impending spin-off of eBay's (Nasdaq: EBAY) PayPal division. U.S. consumer confidence slipped in September for the first time in five months, while annual home prices growth crawled in July to its slowest pace in two years, according to the Case-Shiller home price index. 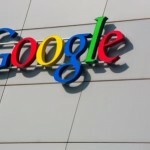 On Friday, a report surfaced that Google (Nasdaq: GOOG, GOOGL) was in talks to buy a 40% stake in eBay (Nasdaq: EBAY) for $85 billion at $68 per share.